Qohelet (Ecclesiastes) 12:13-14 Let us hear the conclusion of the whole matter: Fear ’Elohiym, and keep his commandments: for this is the whole duty of man. For ’Elohiym will bring every work into judgement, with every hidden thing, whether it be good, or whether it be evil. Brad is home. We will be gone for personal reasons 4-16 April 2019. Julie will be covering for us while gone. 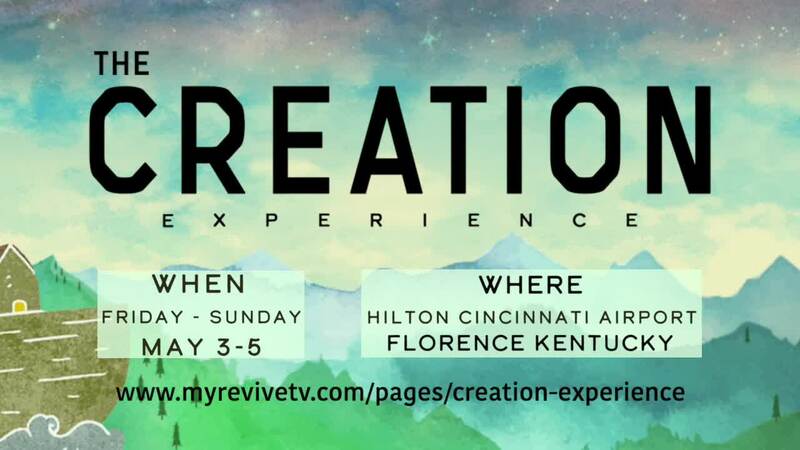 We will be home until the Creation Experience in KY 3-5 May 2019. Hope to see you all there! Dr. Hollisa Alewine and I will be teaching on the wonders of creation together near the site of the replica of Noah's Ark and the Creation Museum in Kentucky. If you have any doubts as to the validity of the Genesis account in the natural or the spiritual, then this is the conference to attend. For more information, see the conference page. 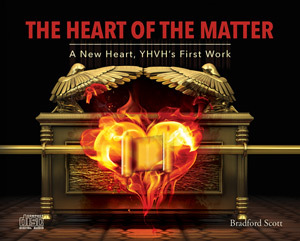 In this more devotional teaching, Brad focuses on the first work of YHVH, which is always the heart. Using the natural creation as his usual backdrop, Brad shows how all living things work the same way, which is why the Word of God is living and powerful. All living things are interdependent and in order. Brad's concern is for the next generation. Using the story of Aaron's sons, Brad illustrates how we have in many ways circumvented the brazen altar and have sent the next generation running directly into the Holy Place. Available on Audio CD and MP3 Download. Many modern surveys are now telling us that atheism, primarily due to the proliferation of the Internet, is the fastest growing religion in the world. All media communication is saturated with godless music, movies, advertising, and conversation. The Internet is filed with articles and videos designed to tear our next generation away from the Creator and the Scriptures that reveal that Creator. Relentless questions and propositions sow the seeds of doubt in the God of Abraham, Isaac, and Jacob. These questions seem overwhelming and are difficult to answer for many people. 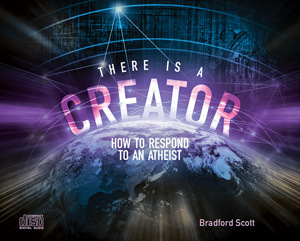 In this series, Brad addresses the twenty most common questions that atheists and the new religion of "nones" always ask. 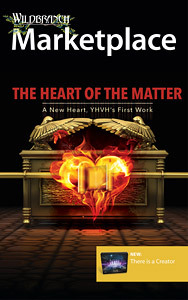 Isaiah 46:10 in Hebrew reveals that YHVH has “declared, from the beginning, the end.” Brad takes this verse very seriously. 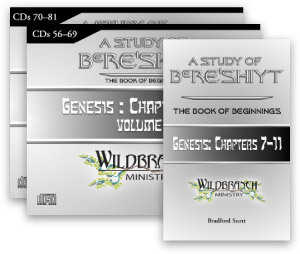 The third part of this trilogy of the first eleven chapters of Bere’shiyt (Genesis) contains most of the controversial issues that atheists and evolutionists have with the Scriptures. Brad meticulously reveals and defines all the first words of scripture that have their beginning in the flood of Noah, the record of the nations of the world, and the tower of Babel. Brad discusses in great detail the science of the flood, presenting a useful apologetic for the reality of the world wide flood of Noah. We are told that the days of Noah are likened unto the second coming of the Messiah. If the days of Noah are not literal, then what foundation do we have to believe that the coming of the Son of Man is to be taken literally?. Also included is a 187 page workbook. This two volume set is available on Audio CD and MP3 Download. Thanks to Jay, our web designer, (and so much more!) we now have all of Brad's books available in the eformat. As international postal rates have sky rocketed and is above what the market can bear, we pray this will help all of our international body of believers access his books. Since 1993 this seminal teaching lies at the heart of everything Brad teaches. This simple, natural, agricultural principle is found in all of creation and most important of all, the Word that created all that is seen and unseen. Yeshua' Himself categorically stated that all parables, and subsequently all end time prophecies , are established in this truth. The Seed is the Word of God. It is a fundamental scriptural truth that lays the foundation for the identity of the children of God from the beginning. If you are interested in knowing the end you must go back to the beginning for there is only one good Seed. Book forward by Bill Cloud. 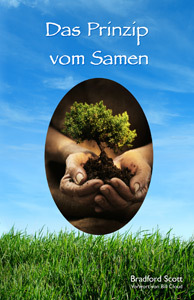 The Principle of the Seed, can now be downloaded as an eBook in German. All of our eBook downloads are compatible with Kindle, iBooks, Nook and any other devices which supports ePub or MOBI formats, and are DRM-free. Available in both Paperback Book and eBook formats. We have created a new category that carries all of Brad's available slide shows and .pdf's created from the PowerPoint presentations. 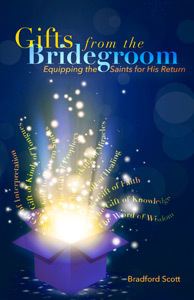 You may find the link to these in two places: on the right hand sidebar and as a subcategory under the Teachings section at the top of the website. If you'd like one of our catalogues, email me at orders@wildbranch.org with your MAILING address and I'll be happy to send you one. Also, this catalogue is available in PDF format for you to view on-line (WildBranch Catalogue). Clicking on the product names in the PDF catalogue will take you directly to our marketplace for your convenience. Thank you, Jay! Very cool. Many of you have asked for the list of books Brad uses for his research. The following link takes you to that list: names, authors, ISBN numbers. Research Tools link These are great resources every home library should have. We also have DVDs available that will teach you how to use these reference books. You can get these DVDs in hard copy and mp3 format. Learning Research Tools 1 and Learning Research Tools 2. Want to know what it takes to have Brad come speak? Checkout the Conference Guidelines.